Finally! 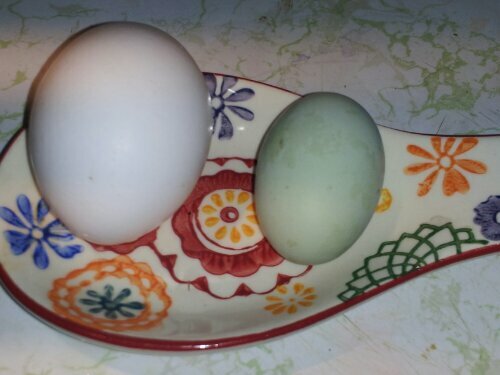 The baby chicks have started laying!! Great on a toasted bun, wrapped in a tortilla, or served on crackers. We also enjoyed it wrapped in some greenleaf lettuce, sans bread. This was very quick and easy to put together. You can mince everything by hand, or throw the chicken, red onion, and celery into a food processor. Pulse a few times until it is coarsely chopped. Transfer to a mixing bowl. Add half of a 4-ounce can of diced green chilis, the mayonnaise, and adobo. Mix well, and refrigerate until ready to serve. Never heard of Cuppa Cuppa Cobbler? Me neither, until recently. 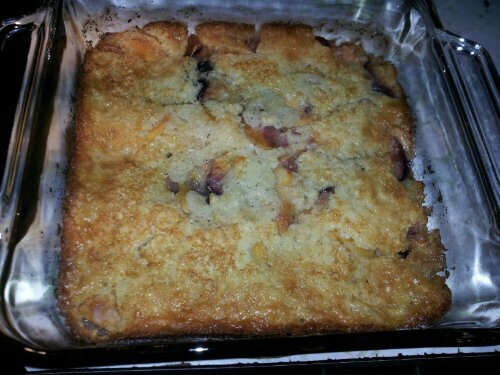 Turns out, it is exactly the type of cobbler my husband loves and bonus! it is very, very easy to make! With early summer’s fruit arriving, this is the perfect time to try this. 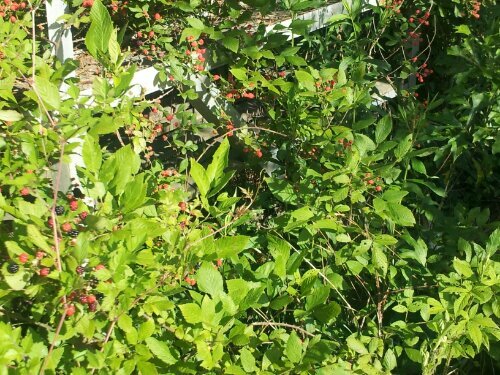 We have several spots in the garden which have gone to weed over the last few years. The benefit? Fresh blackberries from the backyard! 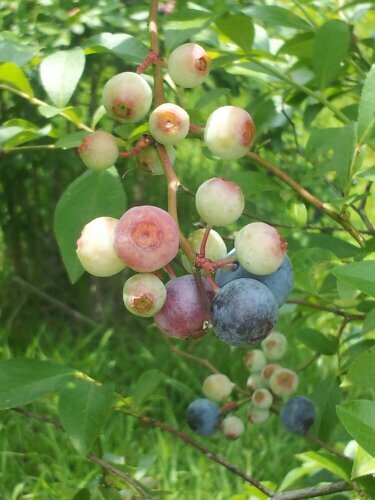 We also have some ripening blueberries and this is their best year ever. They are fat, plump, juicy and very sweet. 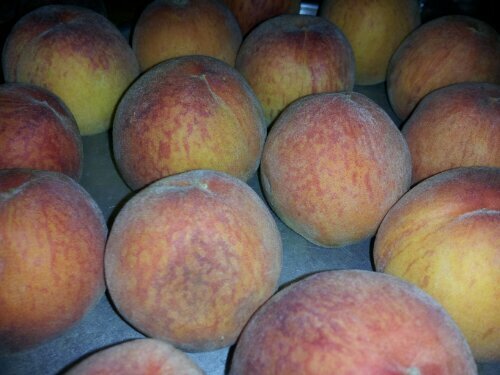 And, from the farmer’s market, we have some sweet and juicy Alabama peaches. These are what we used today. This is a perfect way to serve any of these early summer fruits. Place the stick of butter in the baking pan. Place the pan with the butter in the oven while it is warming. While the butter is melting, make the batter. Combine the sugar, milk and flour, and mix with a fork or a whisk until most of the lumps are gone. It’s okay to let sit a few minutes if all the butter is not melted. When the butter is melted, remove the pan from the oven and gently swirl the butter around so that all of the pan is covered. 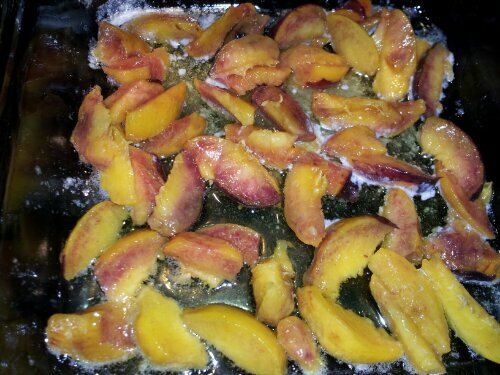 Dump in the fruit, and gently spread around bottom of pan. Pour the batter over the fruit. It’s okay if the fruit is exposed, some even say better! 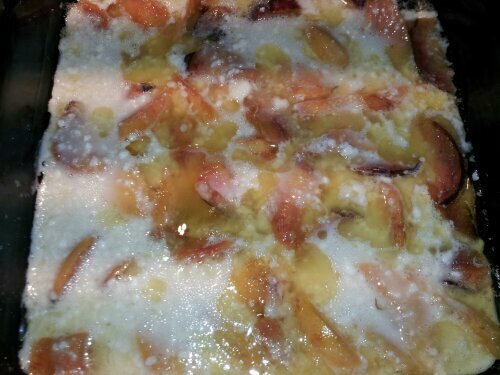 Bake for 50 to 60 minutes until top is just browning, and fruit is bubbling. Let cool a few minutes. Serve warm with vanilla icecream or heavy cream. A little bit of summer heaven! So, at the young age of 8, my daughter has learned firsthand that what she eats has an effect on her health. So, we’ve talked about foods many times: foods that are good for us, foods that are bad for us, and some foods that really have a negative impact on her. So, the other day in the car, I brought up the concept of Meatless Mondays. By giving her examples of some of the potential meals we could do (and no negatives about meat itself), she was all for it. She was so for it, that she was upset that she had meat for lunch at school the last 2 Mondays. So, for our first official Meatless Monday, I took the easy path and served them something they both love: Bean Tostadas with fresh Guacamole! 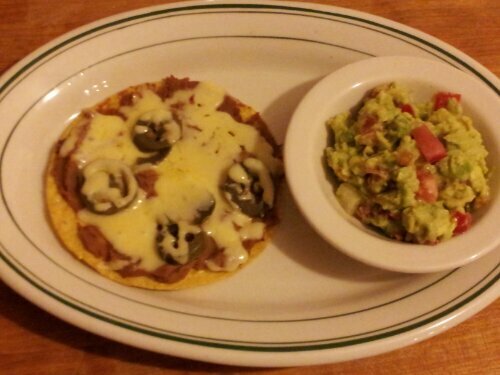 Using premade tostada shells and canned beans, the hardest part was making the simplest of guacamoles, and grating the cheeses. Twenty minutes later, dinner was served!